When it come to hype, OnePlus seems to know how to play its cards just right. 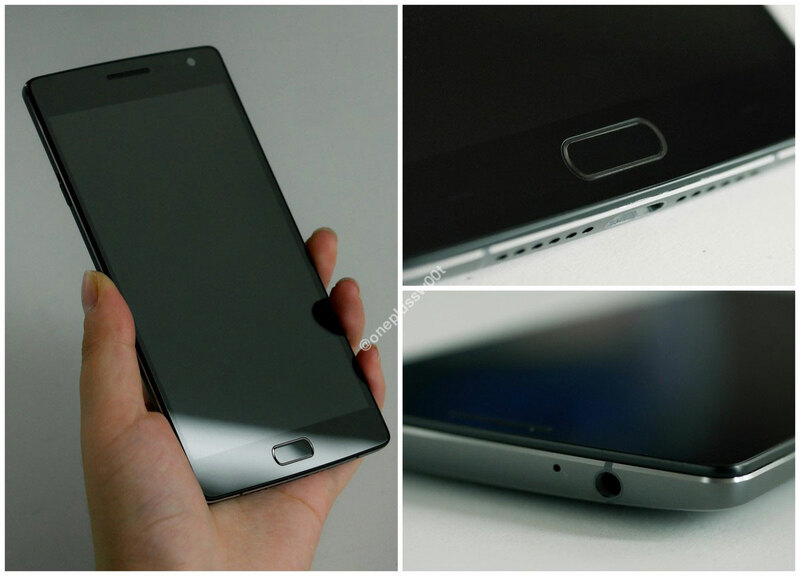 After becoming one of the first manufacturers to publicly announce what processor its device would be featuring, we’ve now manage to unearth some images that show the OnePlus 2 in its alleged full glory. The source of these pictures is not very clear at the moment, with the original link having gone down since this post has been published. But they’re very high quality and seem intent on showcasing the device from every angle, so we’re vary of their origins as well. When it comes to flagship devices, we’ve started to see a large amount of leaks detailing their every feature, occur beforehand actual launches. In fact, the Samsung Galaxy S6 Duo and the iPhone 6 Duo both saw their specifications and design details outed a day before their launch. And when it comes to the self described ‘2016’ flagship killer, the OnePlus 2 doesn’t seem to want to fall behind. 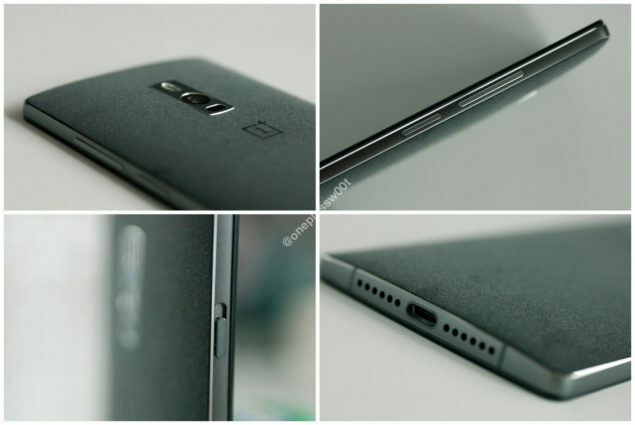 As you can very well see in the images above, when compared to all the hype that’s been build around the OnePlus 2, the device appears to be surprisingly modest. It doesn’t appear to feature much metal either, with the back being completely removable. Inside, you can see the 3030 mAh battery pack that has been said to be coming with the device. The headphone jack is on the top, while the speaker grilles see a neat little arrangement around the USB port at the bottom. There’s also what appears to be a dual SIM slot, and the sleep/wake button seems to have made it on the left of the device. For a device that hopes to compete with some of the top flagships out there, and that too on a budget, today’s image present a rather disappointing picture. Nearly every mainstream manufacturer in the Android world has decided to switch to non-replacable batteries, with Samsung being the most evident example. Perhaps OnePlus feels that it’s offering has more to offer that just an elegant design; but the truth of the day is that design has become an non-replaceable part of the Android world now; and will likely continue to be so. Our verdict? 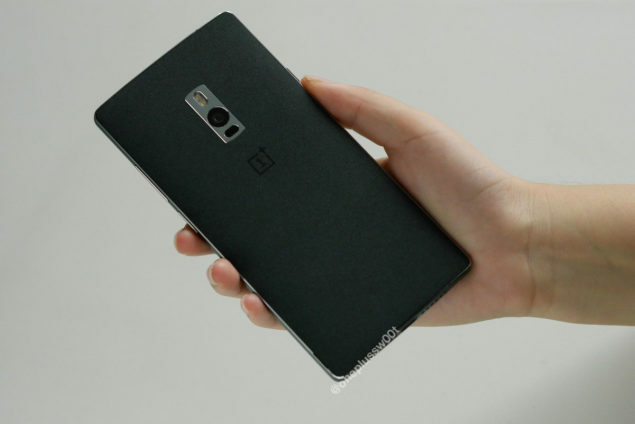 The OnePlus 2 appears to be a rather modest device. But given the fact that more than variant has oft been reported in the works, and OnePlus might be up to one of its tricks as usual we’d recommend to wait for its launch today and then reserve all your judgements. After all, leaks are leaks, and nothing can be confirmed until any manufacturer directly launches their device. Stay tuned, we’ll keep you updated and let us know what you think in the comments section below.